I am back to Halloween for Rolodex Card A Day 301. 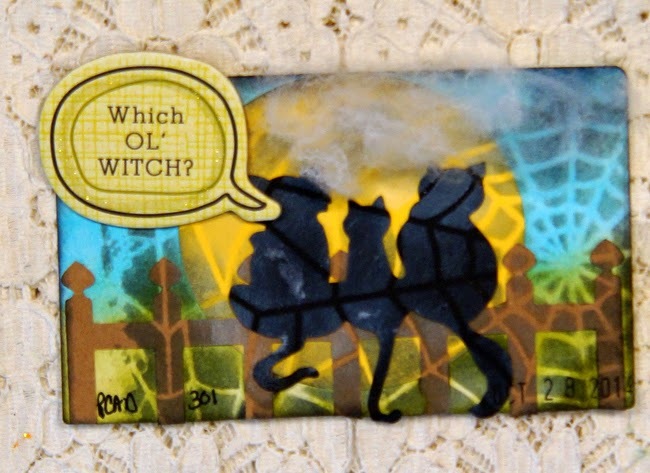 I had fun with layers and a stencil on this card. I just love these three cats sitting in the light of the moon. Love the cats on the fence and moon background!